Idylease provided the American Plan to its guests. The room rate includes three meals—breakfast, lunch, and dinner, all provided by Idylease. American Resort Hotels proliferated throughout North America in the 19th century. When the Civil War ended in 1865, Americans enjoyed prosperity with more wealth and economic power than they’d ever had before. Seemingly overnight, a new emphasis was placed on materialism which led the country’s elite to seek destinations where they could relax and escape over-populated urban areas. This new crop of resort hotel offered modern conveniences, like sanitation systems, fireplaces, electric lights, running water, and more. These amenities were not present in existing American home construction, so escaping to resort hotel was a luxurious experience for guests. During this period of rapid expansion, resort hotel owners had adopted the use of the European model of charging their guests for the services and amenities they provided. In this model, guests were billed for lodging only. Patron were expected to find his or her meals elsewhere. By 1852 New, York’s Metropolitan Hotel was bestowed with the honor of being the first hotel to abandon the European Plan and replace it with the American Plan. The European plan offered significant advantages to big-city hotel keepers. By making the meal service optional and extending the hours of service, hotel operators did not have to employ an army of waiters to serve all of the house’s guests simultaneously. Fewer waiters working longer hours could serve the same or a greater number of diners at less cost to the hotel. 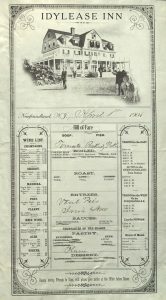 Under the American plan, guests commanded all the resources of the host’s kitchens for a fixed fee, whereas under the European they paid for each item selected. The meal became a revenue producer rather than an extension of hospitality, and the burden of food costs shifted from the hotel to the guests. 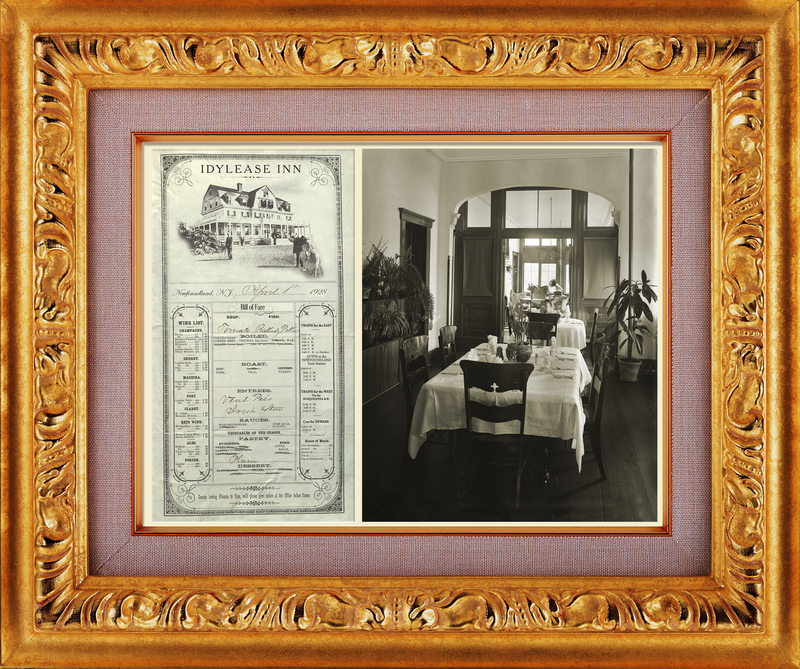 Finally, by opening its dining hall to the public, the hotel increased the number of potential customers but diminished its ability to function as a domestic haven. Idylease provided the American Plan to its guests. The room rate includes three meals—breakfast, lunch, and dinner, all provided by Idylease. 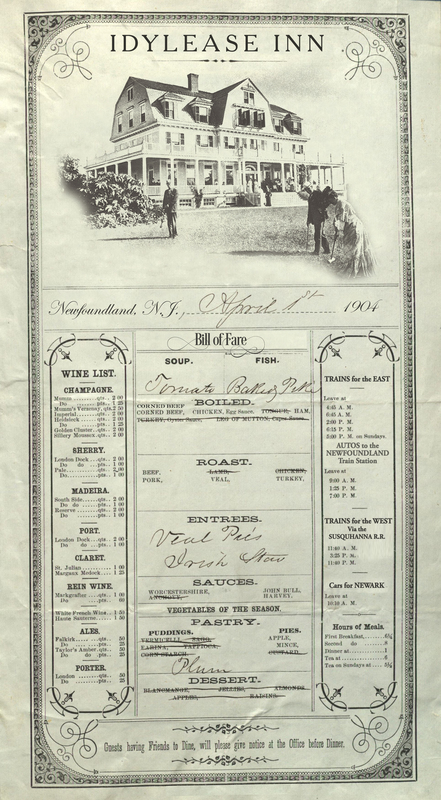 As you can see on the 1904 menu, drinks were not included under this plan.